I work seasonally with the IRS through Horizons Staffing. I work in two locations. At the Tucker location I am a Offline Reviewer. This job required to be thourough in reviewing all of the work that has already been processed. It was my job to make sure that none of the other departments made any processing errors. At the College Park location I am a payment processor. I was required to make sure that payments that didn't have the proper paper work obtained the proper forms before being processed. I was elected Recording Secretary of Local 882 in May of 2008. My first job was to become the Acting President of the Union. I was acting president for two months until an official president and vice president could be elected. After two months I went into my elected position as recording secretary. My responsibilities included: recording the minutes of the monthly meetings, taking the roll, signing off on vouchers, repairing the computers and maintaining the website that I am currently creating. I have worked for Ford Motor Company for 12 years. My job description was stockkepping, picking auto parts to be shipped to dealers and packing the parts that need to be shipped. I have been laid off of my job. Now I am persuing my certification and Associates in Cisco in Network Administration. 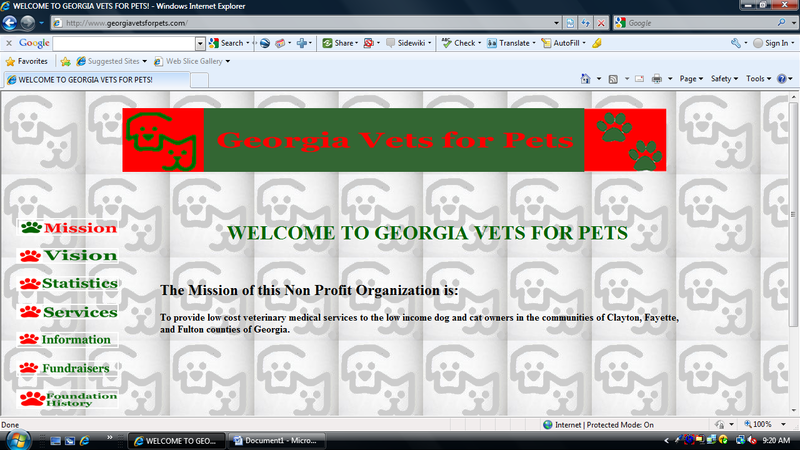 I used Dreamweaver to design the Local Union's web site. I recently took a continuing education course at Clayton State University. I am in search of an entry level job in the IT field. I would like to have a carrer in the IT field. I have an Associates Degree in Computer Science. While I worked at Ford in 2000 they gave all of thier employees computers. After I recieved my A+ Certification I repaired and upgraded many of my co-workers' computers. 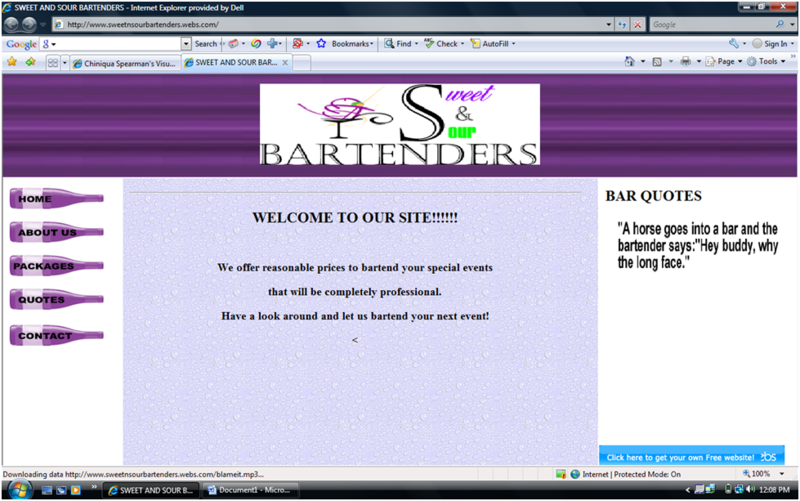 I am currently designing a web site for Local 882 as well as Sweet and Sour Bartenders. I am currently working on Cisco Certification. I am a hard worker and a fast learner when given the opportunity.